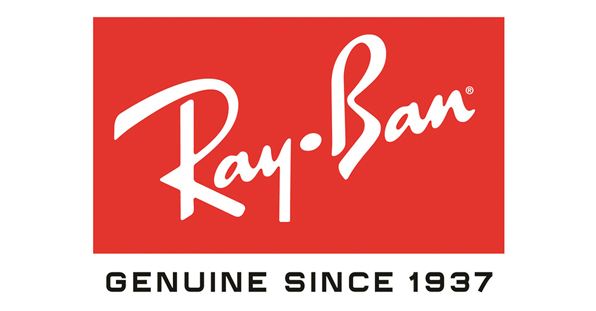 Everyone loves Ray-Ban, it’s a true classic. Ray-Ban’s distinctive brand image dates back to the 1930s, in the days when aviation was the height of fashion. They were originally made for the US Army Air Service to help defeat glare from the sun, headaches and altitude sickness. Since then, they have become a must-have accessory for anyone that wants to make a statement. If you are into sport and want only the best sports eyewear, Oakley is for you. Oakley is renowned for its extreme combination of art and science and encapsulates everything from wrap-around frames to polarised lenses. It’s no secret that they produce some of the best engineered ophthalmic frames in the world. Oakley’s promise is to give everyone the opportunity of the best vision possible, whether you’re an extreme snowboarder, passionate cyclist, or you just love the unique, eye-catching styles they so fabulously showcase. If you’re looking for the classy look, Tom Ford offers a fabulous combination of chic designs and classic styles. As director of Yves Saint-Laurent and renowned for his work with Gucci, Tom Ford definitely knows how to please. With his definitive range of Italian acetate frames, each with their own individual Tom Ford flare, how could you say no? Ford has recreated the wayfarer and cat-eye with his own personal twist, which make you look and feel great! Silhouette has prided themselves on authenticity since 1964. Their frames are made from a premium quality, high-tech titanium with a minimalistic design. The brand strives to continuously produce innovative styles of eyewear. Silhouette is aimed at those more experienced of the world and keen to make a timeless statement. Made in Austria, their unique styles will transport you to a world worth seeing, a world full of surprises. At the root of Swarovski was inventor and idealist, Daniel Swarovski (1862 - 1956) innovatively designed a bespoke style of cutting and polishing crystals for jewellery. The family-owned business fast became the world’s leading manufacturer of precision-cut crystal in fashion and jewellery. Our Swarovski frames are embedded with luxury Swarovski crystals that will bring back that sparkle in your eye. They are glamorous and beautifully made in Italy, bring a little sparkle into your life with Swarovski eyewear. William Morris London was established in the late 1990s, when new trends were constantly evolving. Since then, the brand has been continuously developing new collections and designs to appeal to a younger audience, to inspire them to take a step into the unknown with their spectacles and to try something a little different from the crowd. However, they also appeal to the older generation, especially if you are looking for something fun and quirky, that will give you that special edge. Established in Rome in 1960, Maison Valentino is one of the highest expressions of couture and the excellence that has made Italian products famous worldwide. Today the new vision of Valentino, reaches a younger and more international clientele. With lightness, grace and precious delicacy being their DNA, the Valentino eyewear collections meld creativity and expertise, and combine the classic and historic values of the brand with their more contemporary vision to create timelessly elegant eyewear. Salvatore Ferragamo is one of the world's leading 'Made in Italy' brands, and has grown an extensive product portfolio over the last 100 years. Ferragamo started out his empire in Italy, where he found his love of shoemaking and was shortly after named 'Shoemaker to the Stars'. Since then his craftsmanship, creativity and class has led him to extending his product to include collections of eyewear. Much like his shoes, his eyewear is only of high quality, experimenting with different media such as, symbols, shapes and materials, like leather.